On one hand, it’s a little tough to call something like Cardinal Cardinal a “side project,” when John Bradley’s primary band, Dads, only has one other member. But on the other hand, it is exactly what you would consider a side project to be – definably different than the main band. Dads have been steadily rising in popularity thanks to their often chaotic emo/punk music that mixes raging guitar and drums with deeply poetic lyrics. 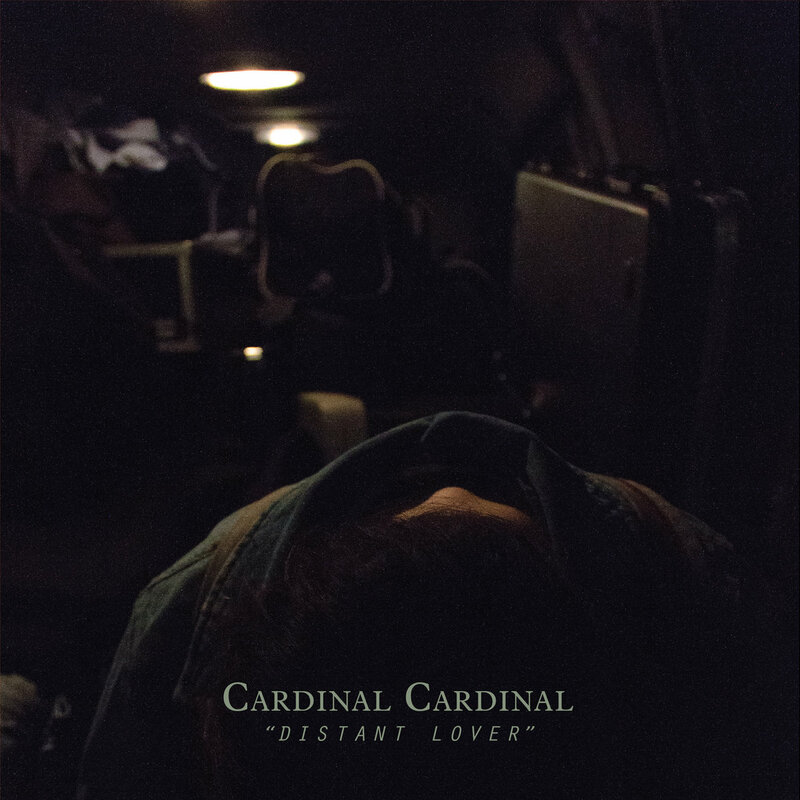 Cardinal Cardinal takes a wholly new approach, as an entirely acoustic EP that is focused on the opposite of what Dads seems to be – cohesive over chaos. “Distant Lover” is very much just an offering – four songs and fifteen minutes. Bradley, working solo, is not trying to break down any barriers or reinvent genres. Instead, he’s simply showing an inspired, lighter side. Three of the four songs on the album are simplistic – they’re light and pretty, well-written and well-sung indie-folk songs. The only outlier is “When I’m Not Alone,” bolstered by a very unexpected tempo change. Again, simplicity does not have to be a fault. Doing something that has been done can still be successful if you do it in your own way. And these songs are definitely Bradley’s. His voice and his equally poetic lyrics mark this EP. Just like the music of Dads, this album touches on losing loved ones and learning how to move on. It’s certainly sad, and the music reflects that. The acoustic nature of the album touches on sadness, not anger. “Distant Lover” is only a few minutes long, but it’s promising to see Bradley come out of his element. This EP is inspired, a softer work that’s no less devastating. Dads have been trying to break out of the whole “twinkly emo” thing, and his might help that. Cardinal Cardinal’s debut is a reliable and memorable offering of some sad and relatable indie-folk.